The George Washington University is the largest institution of higher education in the capital. It is devoted to providing students the best in education. The curriculum is innovative and is in tune with the latest trends in the global job market while retaining the values of the school as well as forging strong links with the community. Students are given high-quality educational resources and highly qualified faculty who ensure students are prepared to be successful with rewarding careers after they graduate. The George Washington University celebrated its 175th anniversary in 1996 and was the birth child of the country’s first President, who wanted to establish a national institution of higher learning. The school opened its doors in 1821 as “Columbian College” in the District of Columbia. 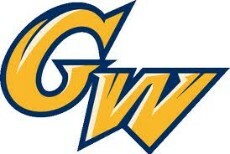 The name was changed to The George Washington University in 1904. It was in 1912 that the university moved to its present location in Foggy Bottom, which was the area George Washington wanted his national university to be. The school has a strong attachment to the Freemasons who were the ones that influenced most of the architecture and history of the Washington D.C. area during the initial days. There are two campuses; one is very close to the White House and the other is in Mount Vernon, which is home to George Washington’s estate. The popularity of the university is showcased in the student body of more than 19,000 students enrolled in nine schools. For students looking for education in strong liberal arts and who are interested in pursuing advanced studies in the fields of education, law, international affairs and others, George Washington University is one of the first choices. Students who graduate from this university will join the esteemed company of several politicians, business people, actors, actresses and public figures who have been the alumni of this school. The distance education program at The George Washington University is ideal for people who wish to study further with an aim to advancing their careers while at the same time fulfilling their existing commitments. They do not have to commit themselves to a full-time campus based education to enhance the knowledge and skills. A high quality education can be gained without disrupting or compromising on either professional or personal life. Some of the online courses offered by The George Washington University include; Accounting, Law Firm Management and Tourism Administration. They are available at both at the undergraduate and the graduate levels. Students are taught by the same high-quality faculty that teaches students on campus. The wonderful facilities offered by the university enable students to not only study at their convenience, but also interact with other students and faculty and get the feel of a real classroom. They can gain access to all the educational material and instruction in several ways, from online discussion boards to interactive presentations and videos. These online degrees offer the ultimate in freedom and flexibility, enabling students to carry on with their lives while working towards a better future by gaining the qualities necessary to compete in cutting edge areas. Have you studied at The George Washington University? Please provide a brief review of your experience at The George Washington University in the comment section to help other readers!